Last month we featured venture capitalist Christian Kameir, author and podcast host Matthew Aaron, Delta CEO Nicolas Van Hoorde, and climate initiative advocate Joseph Pallant. We covered the basics of security tokens, how a portfolio tracker grew to 1.2 million users, and building a blockchain for climate using ERC-998. Special thanks to the community and our guests for being part of the OST LIVE series. 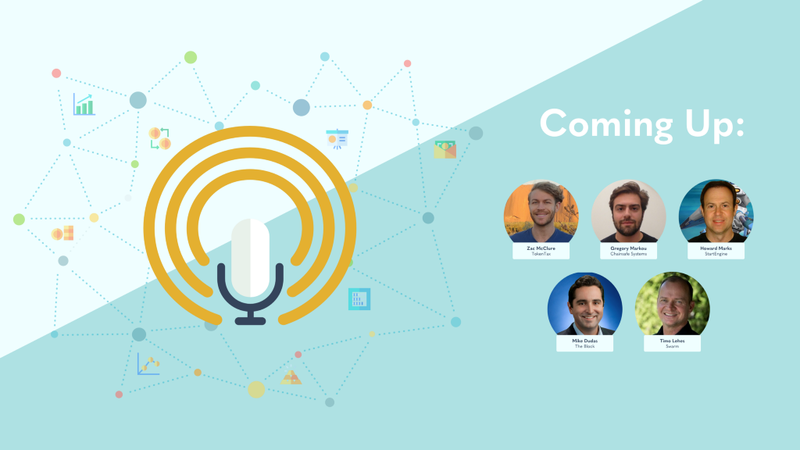 This month we will feature CPA Zac McClure of TokenTax, Gregory Markou of ChainSafe Systems, a dual interview with StartEngine’s Howard Marks and Swarm’s Timo Lehes, and an OST LIVE twist with The Block’s Mike Dudas, who will be interviewed by OST’s Jason Goldberg. It’s tax season in the U.S., and we’ve all been made well aware that cryptocurrencies are taxable. Exchanges such as Coinbase have released crypto tax reporting tools to help users file their gains and losses. Zac McClure, co-founder of TokenTax, will join us to discuss the implications of taxes on cryptocurrency. TokenTax is a firm that files cryptocurrency capital gains and income taxes for clients and supports over 30 cryptocurrency exchanges. McClure will provide a global perspective on crypto tax regulations as well as common practices for U.S. taxpayers.